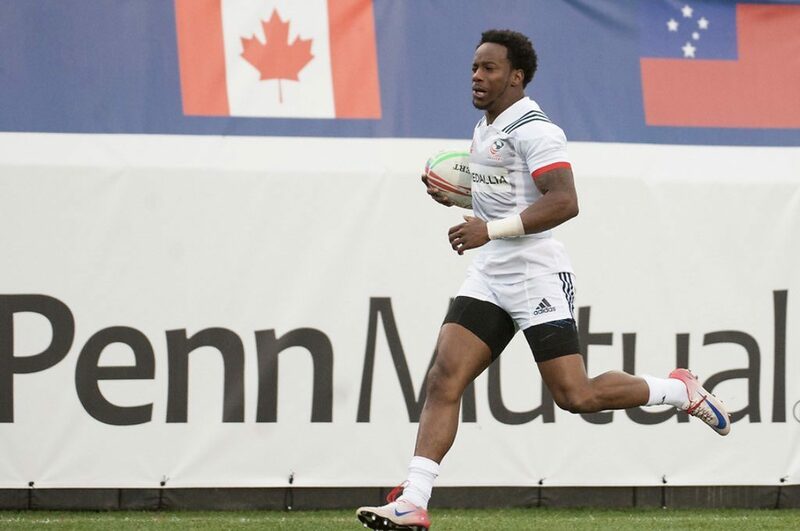 Carlin Isles scored a quick-fire double to help the USA beat the Blitzboks 21-12 in the quarter-finals of the Hong Kong Sevens on Sunday. DYLAN JACK reports. It was a Jekyll and Hyde performance from the South Africans, who started each half with tries but faded as average defending gave the USA far too much momentum. 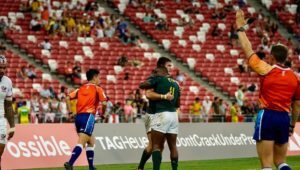 While a brace from Impi Visser provided the Blitzboks with some hope, they were also wasteful and punished by one of the form teams on the circuit this season. South Africa will now face Argentina in the fifth-place semi-final at 8:55am on Sunday. 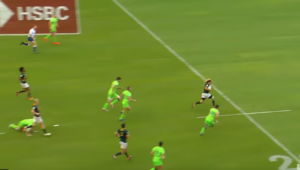 The Blitzboks started positively, taking the ball through the phases, before Visser used his strength to go over in the corner for the opening try. It was a nervous start for the Americans, who surrendered possession twice with silly errors. 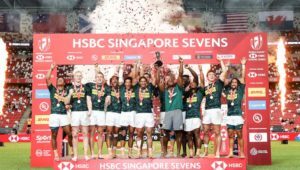 However, they managed to level the scores after winning a breakdown turnover and shifting the ball to Isles, who punished the Blitzboks for giving him space. The speedster struck again on the verge of half-time after once again being given too much space, as he sprinted past both Siviwe Soyizwapi and Selvyn Davids to put the USA 14-7 up. South Africa had an excellent start to the second half as some aggressive defending enforced an error from the USA, allowing Visser to go in for his second. 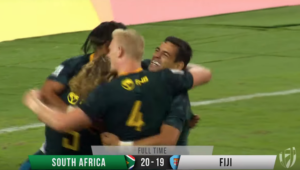 However, some flaky defending allowed the USA to break the line off a lineout, with Folau Niua going close before Ben Pinkelman exploited an overlap to score and put them 21-12 up with just three minutes to go, which proved too big a gap for the Blitzboks to bridge.